Styletto from Signia is more than just a hearing aid – it’s high-tech hearwear. 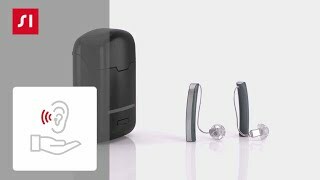 Slim, stylish and with smart technology, Styletto transforms the look of hearing aids. Pure in design, sophisticated in form, Styletto’s graceful lines, refined fit and true-to-life hearing experience mean you feel the difference as soon as you slip it on. With its iconic, jewel-like aesthetic, Styletto is a game-changer in wearable hearing technology. Express your individual style by choosing one of three elegant color combinations: Dark Granite and Silver, Cosmic Blue and Rose Gold, or Snow White and Rose Gold. Wherever you’re going, Styletto goes with you. And goes and goes – lasting all day* on a full charge. 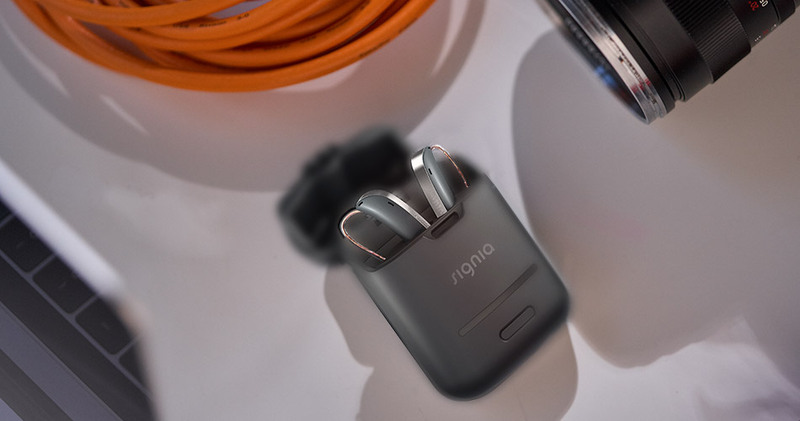 Plus, its portable charging case gives you three more days without going near a wall socket. Please note: Features may vary depending on the configuration of the individual device. Your hearing care professional will be happy to assist you. Press & hold CTRL button and use mouse wheel to zoom. Click right mouse button to drag and pan. The myHearing App is your hearing care professional in your pocket. 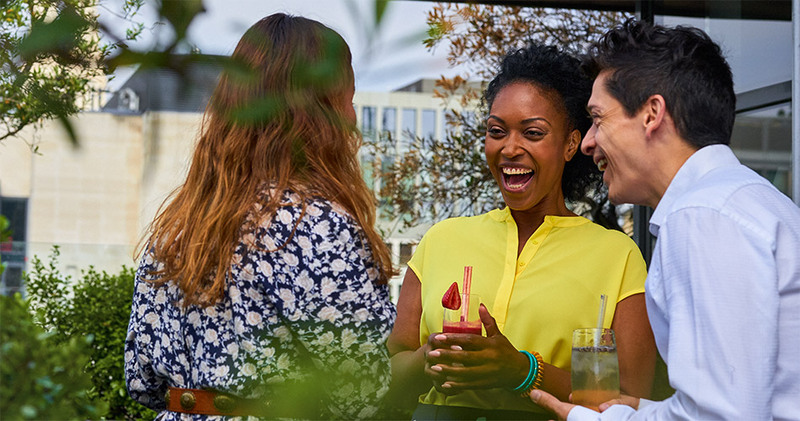 You can receive instant help and advice including live remote tuning to find the optimal settings for your hearing aids while you’re in real-world situations. The myHearing App is available as a free download for both iOS and Android devices via the App Store® or Google Play™. Your Hearing Care Professional will typically help you download and install the app at the shop so it is ready for use. Discreet and convenient, the touchControl App™ lets you change your hearing aids’ programs and settings remotely via your smartphone. Or use miniPocket™; small enough to fit on a keyring, it’s the perfect companion for anyone without a smartphone. The touchControl App is available as a free download for both iOS and Android devices via the App Store® or Google Play™. Use our Store Locator to find your nearest hearing care professional. Find a hearing care professional! Learn more about the best rechargeability solution in the hearing aid industry. Get helpful information about hearing loss and how our hearing aids can help you. For which levels of hearing loss is Styletto suitable? Styletto is suitable for mild to moderate hearing loss. How can Styletto provide a more natural hearing than the competitors? Many hearing aid users do not like the sound of their own voice as it sounds loud and unnatural. Our revolutionary OVP™ (Own Voice Processing) function provides you with a natural sounding own voice combined with of all other sounds for the most pleasant, natural listening experience. Which rechargeability technology does Styletto have and which advantages does it offer? Styletto has the lithium-ion rechargeability technology which is heavily used in various big industries like consumer electronics, automobile, etc. High usability/convenience for the user. Please click here to learn more about Lithium-ion batteries. What is the battery runtime of Styletto? Fully charged Styletto hearing aids provide an up to 19 hours of daily runtime. The runtime of all lithium-ion rechargeable batteries reduces over time. The estimates are based on fresh lithium-ion rechargeable battery capacity. Under normal operating conditions, the battery of Styletto will retain up to 80% of its initial capacity after 2 years of use (which corresponds to an up to 16 hours daily runtime). Please note that battery performance will vary depending on individual usage patterns and environmental conditions. 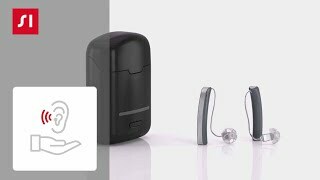 How long does it take to fully charge Styletto hearing aids? Full charge takes approximately 3 hours. With “charging-on-the-go” provided by our ultra-slim portable charging case, charging is possible anywhere, free from plugs or cables. And only 30 minutes charging allows our wearers an up to 5 hours additional usage. How long does the battery of the portable charging case hold? 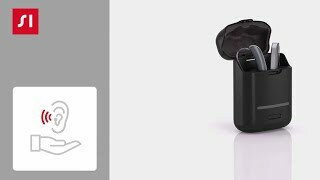 Styletto charging case allows three full charges of your hearing aids “on the go”. This delivers an astounding 4 days of user autonomy. What are the user control elements of Styletto? Styletto has no onboard controls. It is remotely controllable via the touchControl App or via miniPocket accessory. Act now, find a Hearing Care Professional near you. Our partnered hearing care clinics do provide FREE hearing tests! A Hearing Care Professional can diagnose your hearing loss and any related conditions, as well as fit you for the appropriate hearing aids and offer follow-up services such as necessary care, trouble-shooting capabilities and advise on the products whenever the need arises. Find a Hearing Care Professional near you using our Store Locator tool today.